Today’s chief financial officers (CFOs) and financial executives are being asked to improve business performance and shareholder value, along with operational effectiveness and efficiency. Deloitte Oracle Supply ChainManagers help clients delineate manufacturing strategy and vision, design and implement manufacturing process and systems which align with business objectives, having a measurable impact on growth. Do you want to be a part of a team that transforms the business landscape for its clients? Do you want to be on the winning team that drives transformation, improves productivity and streamlines business operations? Do you feel your skills surpass those of your peers and colleagues? If your answer is yes to all of these questions, it’s very nice to meet you and we want to hear from you immediately! Our Oracle Enterprise Solutions practice provides services from ERP and Cloud Strategy, through Business Transformation and Applications Implementation, to Operate and Cloud Release Management. We modernize our client’s business and core environments to leverage technology innovations around Cloud, Digital, Mobility and Social Collaboration. We help our clients address digital transformation by designing modern applications and industry specific solutions to deliver outcomes that improve flexibility, scalability and cost management. Oracle ERP products include Oracle Cloud SaaS, EBS, PeopleSoft, and JD Edwards. Professionals can expect to deliver “heart of the business” projects and work closely with client leaders in finance, logistics, manufacturing, shop floor, scheduling, engineering and design, IT, project management as well as the C-suite including the CEO, CFO, CIO and COO. We assess current business processes and capabilities as part of digital transformation initiatives and support strategic priorities across clients’ enterprises. • A Project Manager and/or Team Lead on at least 3+ full cycle Oracle EBS OM/ Distribution implementations and/or large scale EBS SCM- OM/ Distribution upgrades. • Experience reporting to C-level client contacts, managing client teams, in addition to on- and off-site, and off-shore functional and technical teams. • Experience managing project scope, change requests, delivery against defined milestones; mitigate and remediate risk factors and propose solutions based on best practices. • Must be able to collaborate with clients, identify engagement follow-on opportunities, and have a strong desire to excel. At Deloitte, our professional development plan focuses on helping people at every level of their career to identify and use their strengths to do their best work every day. From entry-level employees to senior leaders, we believe there’s always room to learn. We offer opportunities to help sharpen skills in addition to hands-on experience in the global, fast-changing business world. Our team has deep industry and functional knowledge of Oracle applications and technology. And with a knowledgebase of more than 14,500 Oracle practitioners globally, we can help you develop your tool belt and build your career in ways you probably never even knew existed. 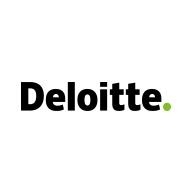 For you, leadership, core competency and consulting capability development are priority one here at Deloitte so we make sure you have the personal “hands-on” direction from the leadership team and Deloitte University to make sure your skills are developed on all fronts. From on-the-job learning experiences to formal development programs at Deloitte University, our professionals have a variety of opportunities to continue to grow throughout their career. Explore Deloitte University, The Leadership Center.